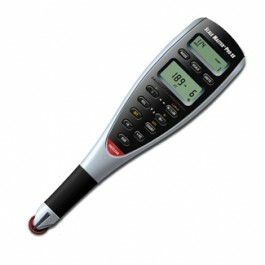 Scale Master Pro XE 6135 or 6335 - GS Direct, Inc. The Scale Master® Pro XE provides transfer capabilities from plans, blueprints and maps as well as out of scale drawings. Utilize 91 built-in Scales; 50 Imperial (Feet-Inch) units and 41 Metric, (including eight custom scales for out-of-scale drawings) for maximum versatility with architectural, engineering and civil scales. The PC Interface (cable sold separately) lets you transfer rolled values from the Scale Master® Pro XE directly into commonly used spreadsheets or estimating programs, saving countless keystrokes, saving time and reducing the potential for costly transcribing errors.